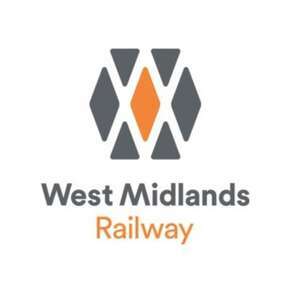 Valid on any West Midlands Railway or London Northwestern Railway Service within the West Midlands area. ‘Mums Go Free’ tickets are valid for travel on Sunday 31 March only. 'Mums Go Free’ tickets will be available to purchase from station ticket offices or on board, if travelling from an unstaffed station, from Monday 18 – Sunday 31 March. 'Mums Go Free’ tickets will not be available online or from stations Ticket Vending Machines.To receive this offer, mums must be travelling with their child (regardless of age).The ‘Mums go Free’ offer is still valid, even if the mum is travelling with a child under 5 years old (who travel for free under existing rules).All passengers are still required to have a valid ticket for all journeys and may be liable for penalty fare if they cannot produce a valid ticket on request.